Last Wednesday and Thursday we experienced some beautiful, incredible and amazing summer like weather in winter. I can’t even begin to explain how much I love the warm weather; it can never be too hot in my opinion and it instantly makes me feel much happier about life. It was such a bonus to have this weather when I wasn’t expecting it too and it’s interesting to see the value that is placed on the first warm day of the season. I noticed how fast people were to bring out pretty summer dresses and even spend time at the beach. 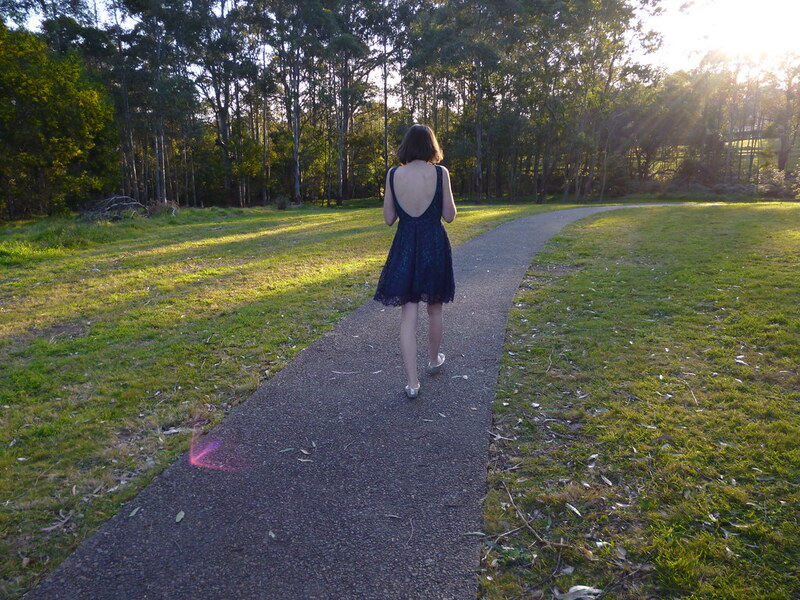 I decided to take advantage of the day by wearing my backless dress from Dotti for the first time. I posted it here. I wanted to wear my navy blue heels to match my dress but I had a lot of walking last Wednesday so I thought a simple pair of silver flats would be much more reasonable. I’m sure I’ll have other opportunities to wear heels with this dress. 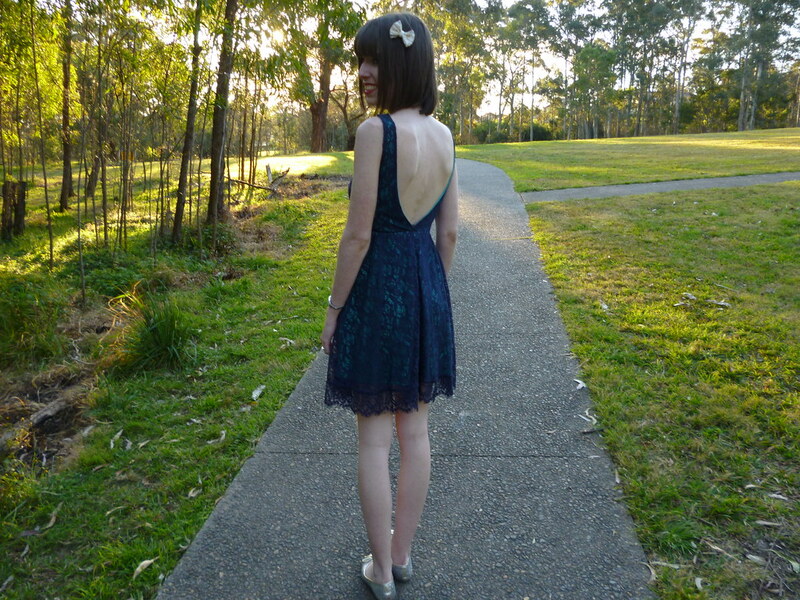 The lace on the dress coupled with the backless feature meant that minimal accessorising was quite acceptable. The warm weather makes me want to buy some new summer dresses. I’ve got a very busy week but I want to make some time to look around the shops. Review and Dotti have the best dresses right now. I can’t believe how red my hair looks in the sun! 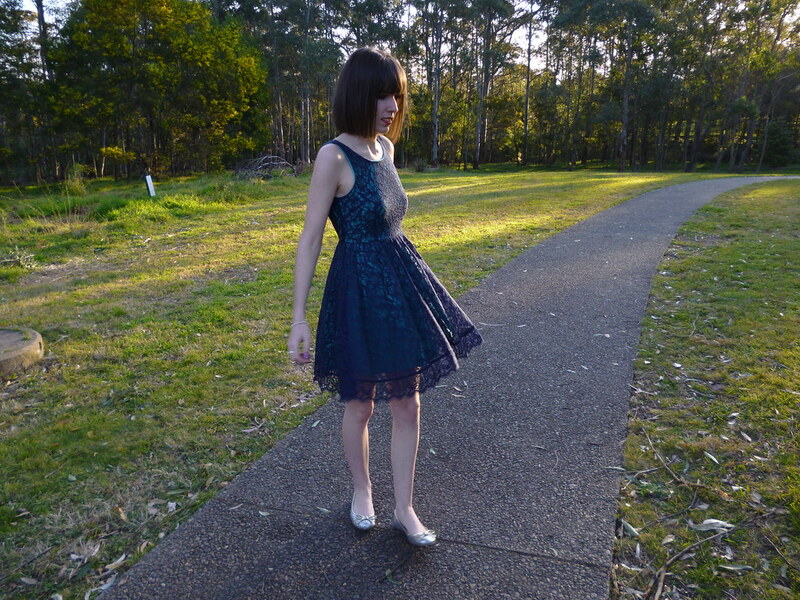 This entry was posted in Dotti, Forever New, Outfits. Bookmark the permalink. I love hot weather too. Sadly, we've probably had one of the worst summers ever! I love that dress so much. Probably one of my favourite outfit I've seen on you. It suits you so well. We are having the best weather at the moment as well, I so hope it lasts. 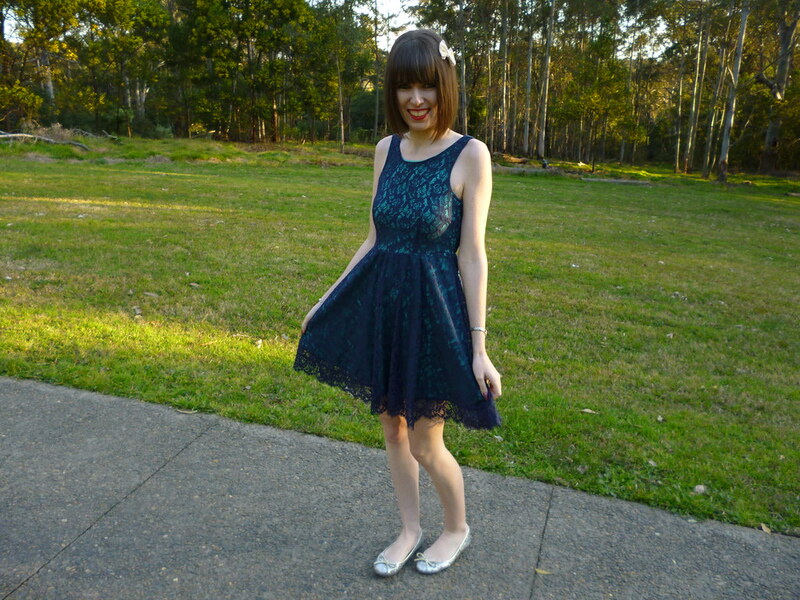 This Dotti dress is so pretty on you, I have actually tried it on and it didnt look good on me so I am very jealos of you. Love the low back dress! 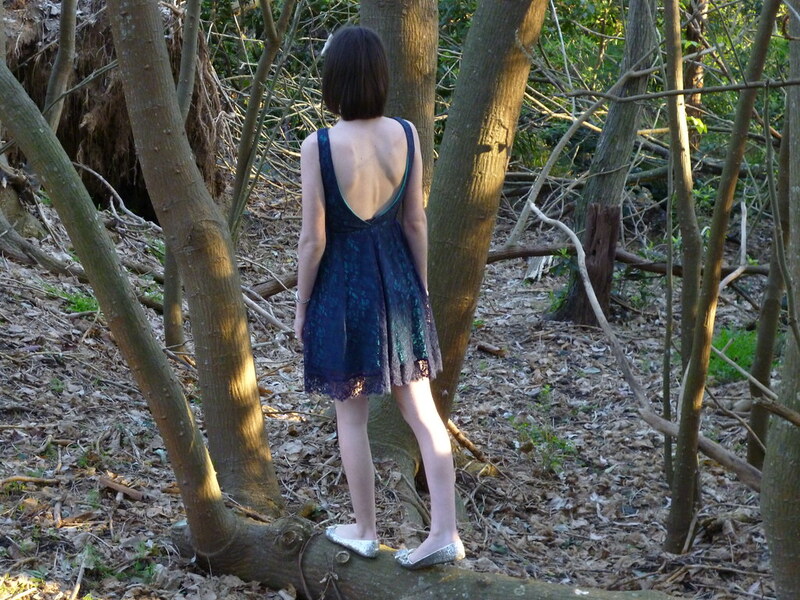 The back of this dress is just beautiful. I love outfits that have interesting backs. You think it is one way and then BAM! The person turns around, and it's like, “Whoaaaa.” I love that moment. You look lovely! This style of dress suits you absolutely perfectly. I'm looking forward to the warmer weather too – although it definitely can get too hot here in the summer! the back of this is gorgeous! 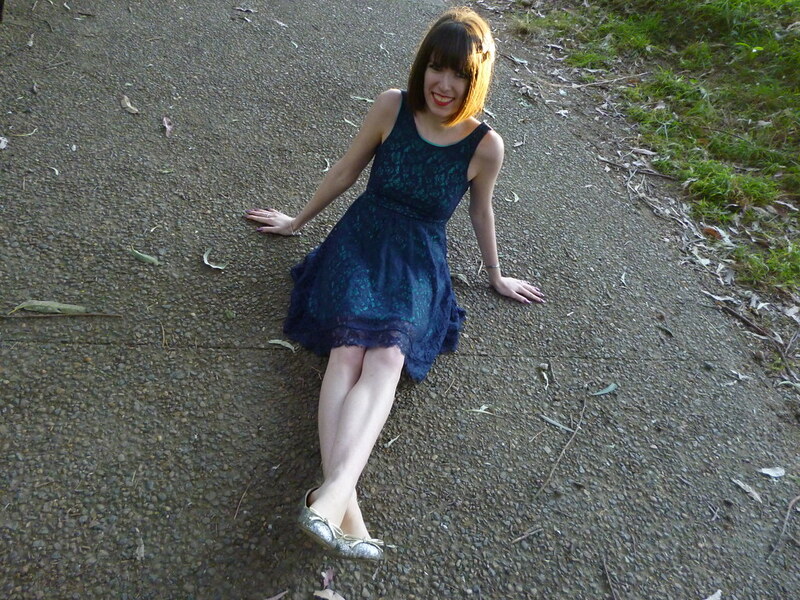 Your Dotti blue and green Lace Skater Dress is beautiful! (I'd personally want to wear pink lingerie under it as I think it would contrast nicely). The woodsy (park?) setting for your photos looks very relaxing. I like the feminine touch added by the Equip hair-bow too. Some of the lace dresses at Review can be a touch pricey (but pretty). That's a very nice selection of dresses at Dotti. 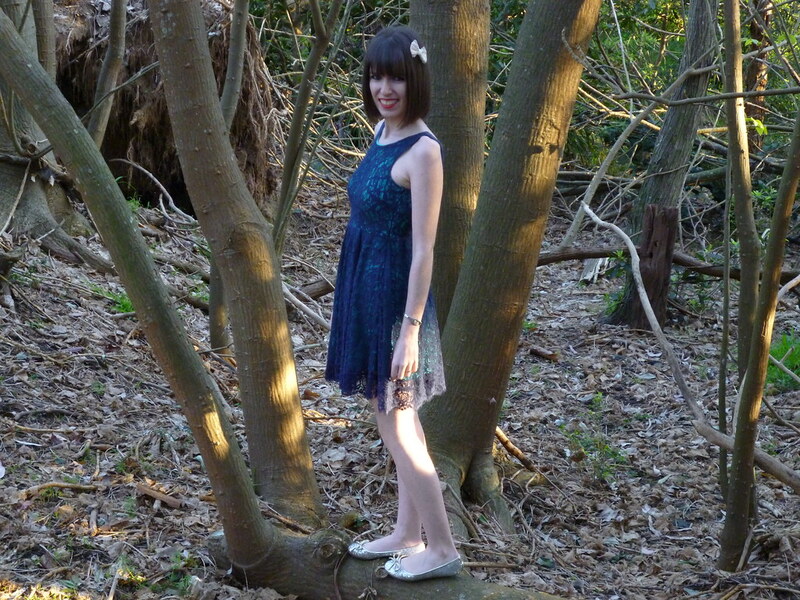 I really like this dress Imogen, you look so lovely and those flats are so cute too. Thanks for the lovely hair comment, it's nice to have a change and I really find painting relaxing too. Love your blunt haircut and graceful dress!